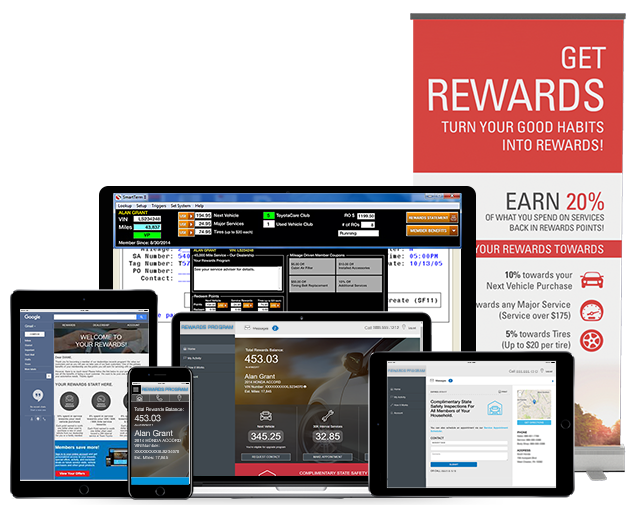 "Finally... a rewards program that was built for Automotive Dealers that is easy to use, and works great!" "EVERY DEALERSHIP IN THE COUNTRY SHOULD HAVE THIS TOOLBAR!" SmartTerm gives you the power to create your own retention program and the tools to ensure it is successful. SmartTech Rewards Program is specifically built for the Automotive Retailer. Our platform is highly customizable, allowing dealers to set a variety of rewards points accounts and incentive percentages. Reward your best customers for their loyal behavior. SmartTech Clubs are customized auto retention programs with defined outcomes. Get more out of your manufacturer supported maintenance programs, increase your Used vehicle retention in service, or easily manage your own lifetime oil change, tire rotation, or alignment program. SmartTech has taken all of the powerful tools at its disposal and created the easy to use, PrePaid Maintenance Program. The automatic recognition for the service advisor coupled with positive ongoing reinforcement with the customer will help your dealership efficiently manage the programs and increase penetration and customer retention. SmartTech's turn key, 3 stage, inactive program leverages rewards points and special offers that provide a new and more efficient approach to inactive customers. By increasing the value over 3 defined stages and letting the customer know they risk losing their valuable rewards through email, physical mail and the personalized portal, better results are achieved. SmartTech's automotive dealership marketing platform can select the best offer to use at the right time. 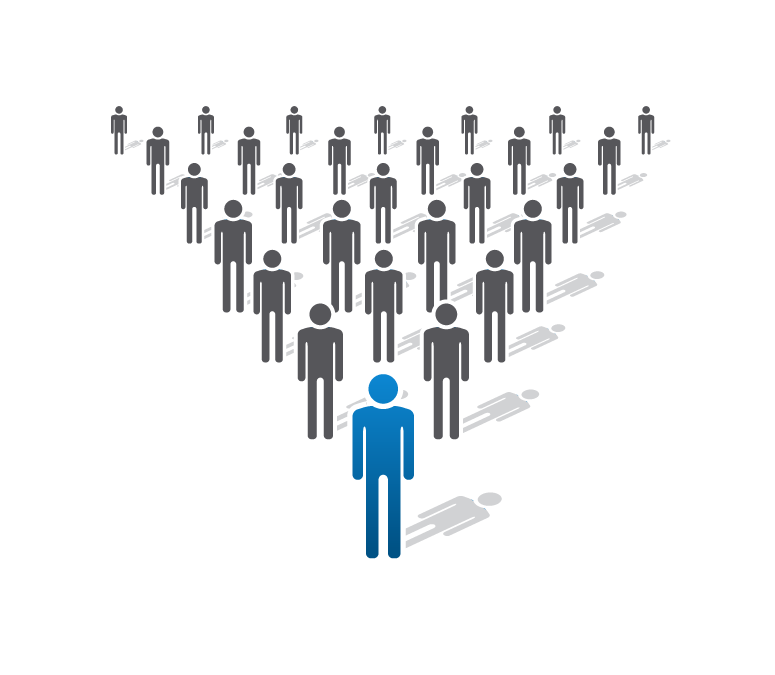 With custom messaging and variable based offers, customers are provided relevant and personalized content in multiple mediums. We are fully integrated. Our system of applications provide a complete "connected" program sending messages that look great on any device. 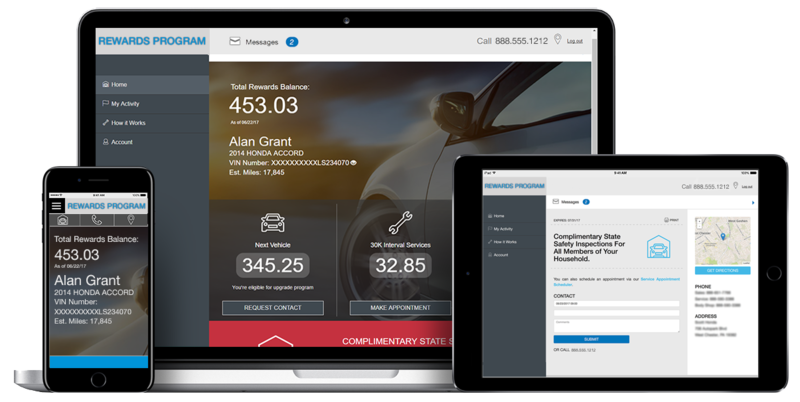 Messages are connected and viewable within our Responsive Email, Consumer Rewards Portal, In-Dealership SmartTerm Software, and Direct Mail. 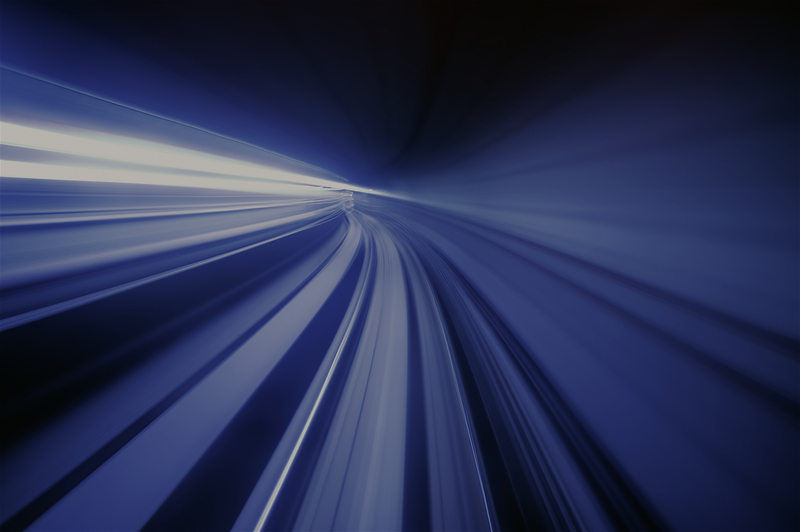 Our data platform will syphon the best leads to contact. Overall value, frequency, dealer rewards values, past redemptions, vehicle information, activity, and location are just a few of the data points we analyze real time. 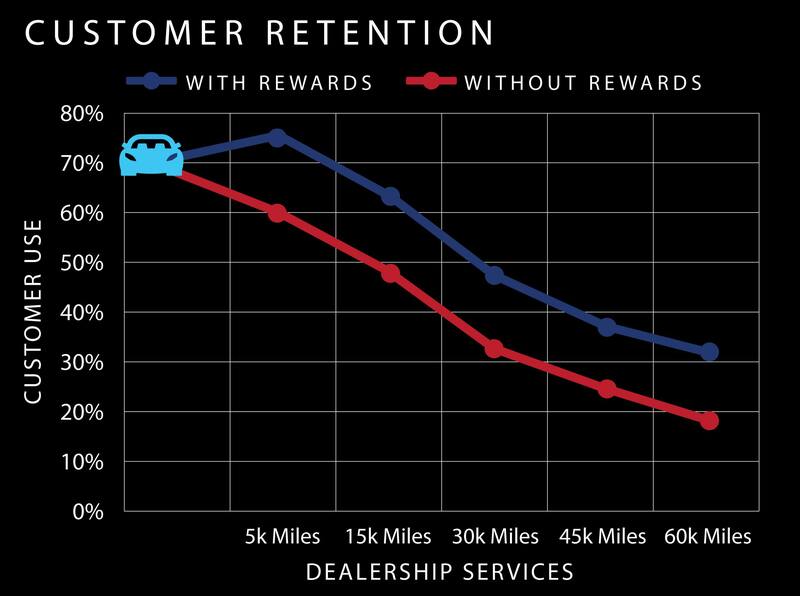 Our campaign reporting and program performance shows great strides forward in customer retention for dealers through our rewards technology. Many of our dealers double their current rate of retention with Service to Service, Sales to Service, and Service to Sales opportunities.